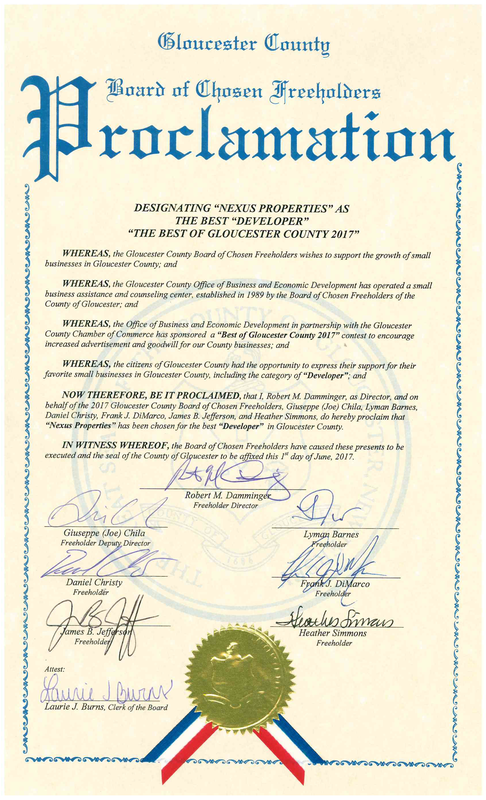 On June 1, 2017, the Gloucester County Board of Chosen Freeholders and the Gloucester County Chamber of Commerce proclaimed Nexus Properties has been selected by the residents of Gloucester County in the category for the “Best Developer”. 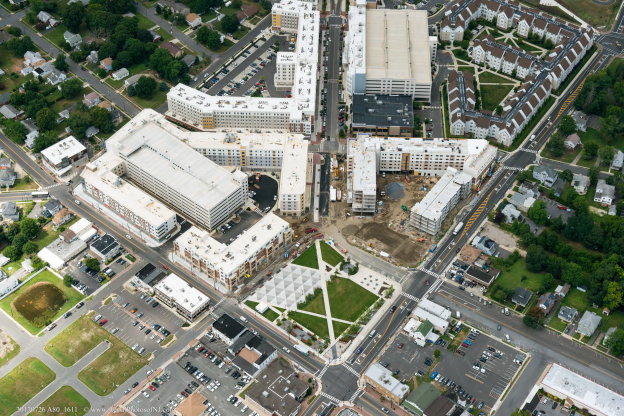 Nexus has been recognized as an essential component of the Gloucester County economy. 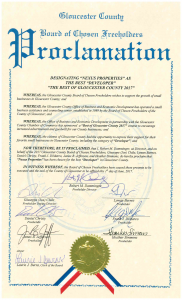 Thank you residents of Gloucester County for this humbling accolade.